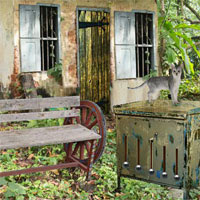 FEG Old Abandoned House Escape 4 is another point and click escape game developed by FirstEscapeGames. An old man is locked up in an old abandoned house in a deserted place. Rescue the man from the house by finding the key. Collect clues and hints and solve puzzles to get the key.